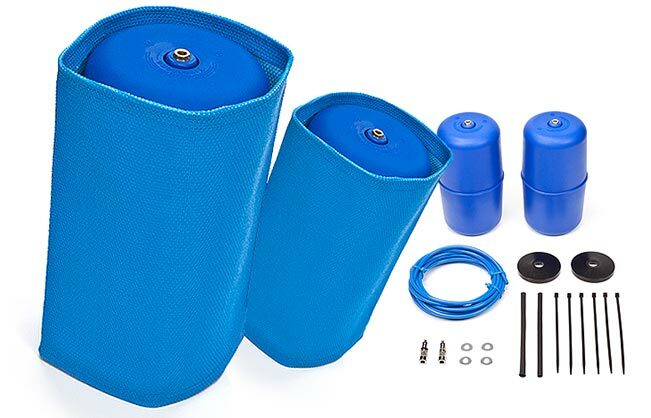 This Firestone Ride Rite Rolling Sleeve Kit is designed to fit Toyota Landcruiser's with existing 4" Lift. 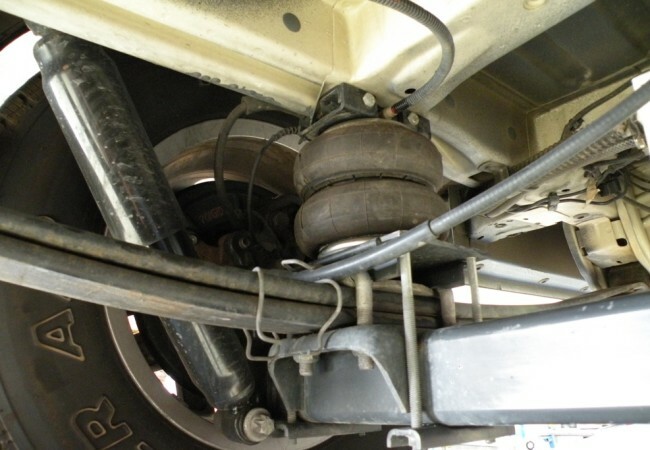 Better load carrying capability for Landcruiser Utes with 4" lifted rear spring and shock packages. 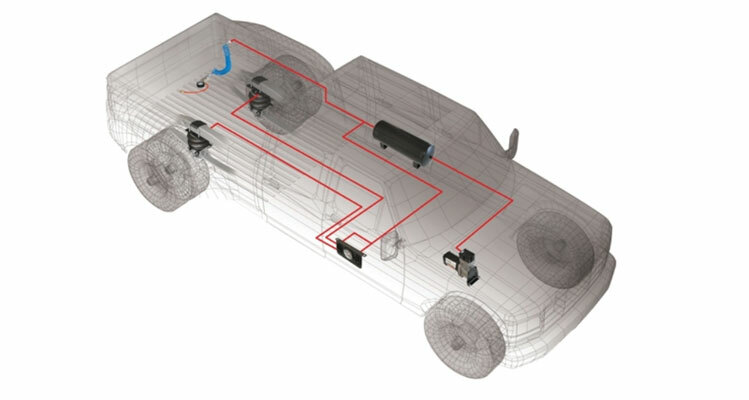 It provides front-to-rear and side-to-side levelling control of a vehicle. Air adjustable and used to carry heavy loads with both safety and comfort. Adjustable for varying loads and road conditions by simply inflating or deflating, just like inflating a tyre. Australian designed and manufactured, are the proven way to improve suspensions. Enable a vehicle to "level up" when carrying heavy, uneven loads and when towing caravans, boats and trailers. Requires tack welds between lower brackets and axle housing. 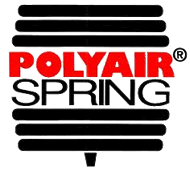 Minimum pressure when fitted is 30psi until bags have settled, then can drop to 20psi - check visually to ensure they retain at a diameter that does not allow and internal rubbing of the bellows. 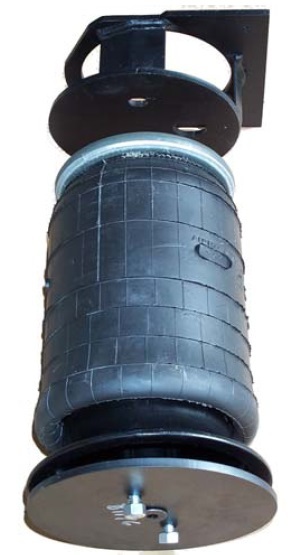 Minimum gap between outside of leaf and inside of tyre is 60mm, if less than this air bag will need to be offset further inboard, then requires the brake lines to be modified on the RHS. If fitting to a RV, GX or GXL then will need modified Ubolt swapped in kit. Please email or call us to discuss your vehicle and application. 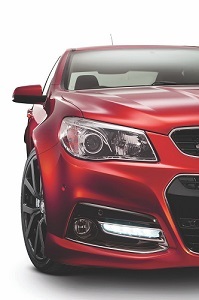 We now have available full replacement front and rear air suspension for the Commodore VE – VF models. These are a complete Monroe sports strut fitted with a Firestone air bellow made in the USA. 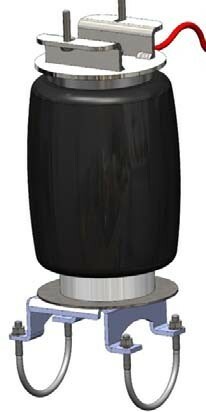 These are an American made strut unit featuring an adjustable (12 stage) shock absorber unit. The shock absorber unit is American made Fox brand. The air bellows are Firestone. The rear kit is ideal for owners wanting increased load carrying ability. These kits give a superb ride and handling. They are competitively priced. Registration authorities in each state may require engineer reports when complete kits (front and rear) are fitted. These may include fitment of an Accuair 3 position height adjustment management system if both front and rear kits are fitted. No cutting or welding is required to fit these products.